Liverpool fans like to talk about "The Liverpool Way." For anybody born before 1991, a vital component of The Liverpool Way was winning trophies. Being that I was born in 1993, that is not the impact that The Liverpool Way has had on my life or my mindset. Spells in my childhood saw my beloved team challenge for the less vaunted honours — the kinds of trophies that are now, correctly, dismissed as less important than a top four finish. Never able to best Man United, or Arsenal or Chelsea in a league campaign, Liverpool settled for what was once known as the Worthington Cup. And I became a Worthington Cup kind of person. Not having won the league is part of one's identity as a Liverpool fan. I don't know who I am without that permanent burden of cosmic failure beyond my control. I've spent so long feeling like a loser by proxy that I'm almost scared what will happen to me if Liverpool break this curse. Liverpool winning the league would be like Venus spinning out of orbit. I don't know what it would mean for me, but I bet it's not good. I've started coming up with all these reasons why Liverpool shouldn't win the league this year. For one, it seems almost cruel after all the jokes that Steven Gerrard endured — yes, we've all got as many Premier League medals as he does — that the first Liverpool captain in decades to lift England's biggest prize could be the much more limited, certainly more maligned Jordan Henderson. More than this though, I think it's the worry that the closer Liverpool coming to winning the league... the closer they come to falling at the final hurdle. A move which would be decisively Liverpool. A team that has so often dispatched of its rivals before losing midweek to the teams that go on to be relegated. There's a single byword for Liverpool's finest achievement since the last time they won the English league. That word is 'Istanbul.' That firework show of heroics from players like Djimi Traore, Jerzy Dudek and Vladimir Smicer — overturning a three-goal deficit in six minutes against the likes of Pirlo, Cafu, Nesta, Shevchenko, Kaka and Maldini dwarfs anything else Liverpool have done in a quarter of a century. 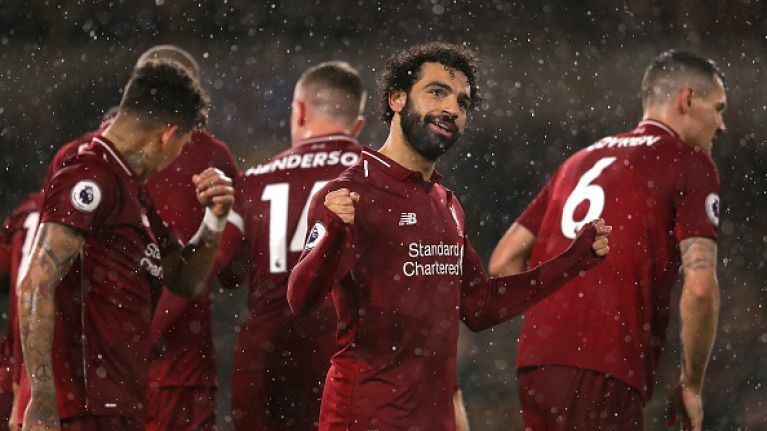 Fans might now be casting an eye to Liverpool's final fixtures of the season, wondering which city might become metonymic for the true Holy Grail. Four games out they will play in the Welsh capital Cardiff — the same city where they won the 2006 FA Cup. Could Cardiff be the latest city to enter that mythology mapped out on the minds of millions of Reds fans across the planet. The penultimate game of the season is away to Newcastle – a club managed by Rafael Benitez. While Liverpool fans would surely delight in winning the title at home, or in Manchester or London where they could rub the noses of their peers in the achievement, there's also something nice about winning it at a ground where Rafa could shake some hands and share in a glory that he helped build. Too good to be true springs to mind. Three months out from the season's closing day, Liverpool are in the lead. Even that seems too good to be true. Mo Salah sits atop the Golden Boot table. Too good to be true. Virgil van Dijk is playing like the best centre-half in the world. It's all too good to be true. I don't trust it. I don't believe it. The closer Liverpool come to winning the league, the more terror I feel. Only twice in the last 10 years has the team who topped the league at its midway point failed to win the league. It was Liverpool, both times. If it happens again this season, as is eminently plausible, it will have only happened three times in 11 years — and every time it will have happened to Liverpool. Liverpool are not supposed to win the league. 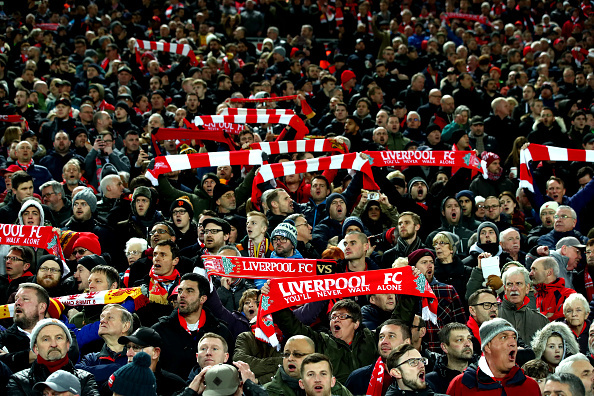 As the league now hurtles through the run-in, Liverpool fans born in the nineties and beyond are now left to wonder what it will mean for them if they do the unthinkable and actually win the Premier League. Even scarier again — what happens if they don't? Rumours abound that Fenway Sports Group are looking to sell the club whose value they have so helped inflate since deposing the despotic Hicks and Gillette and 2010. The consortium paid no more than £300m for Liverpool just over eight years ago. These days you'd probably have to pay more than that to sign Liverpool's front three. But how much more money are they prepared to put into the club before they decide to harvest the already readily available profit? I am an Irish Liverpool fan. A confluence of the Scouse "this is our year" optimism and a Murphy's Law constitution that has governed my approach to life for the last 25 years. If we don't win it this year, we will never win it. Man City will spend. Chelsea will spend. 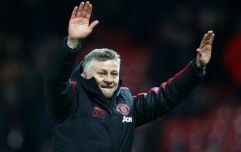 Ole Gunner Solskjaer is the second coming of Fergie. Jurgen Klopp will be off to manage Germany to a World Cup or Bayern Munich to a treble. Salah will lead a new breed of Galacticos at the Bernebeu. It is not so much that this is our year. No. It's "if this isn't our year, then our year might simply never be coming."